One-Eyed Gypsy (4/5) Want to swig booze like it’s 1889? 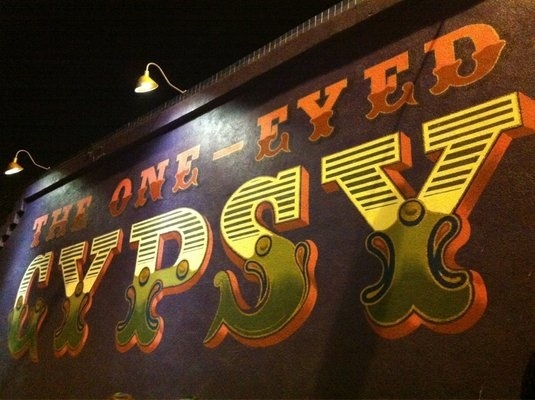 DTLAs One-Eyed Gypsy is housed in a building that has had a continuous liquor license since the late 19th century–making it the oldest bar in Los Angeles. While it has undergone numerous incarnations, this latest one by the folks who designed Villains Tavern, is a sight to behold. 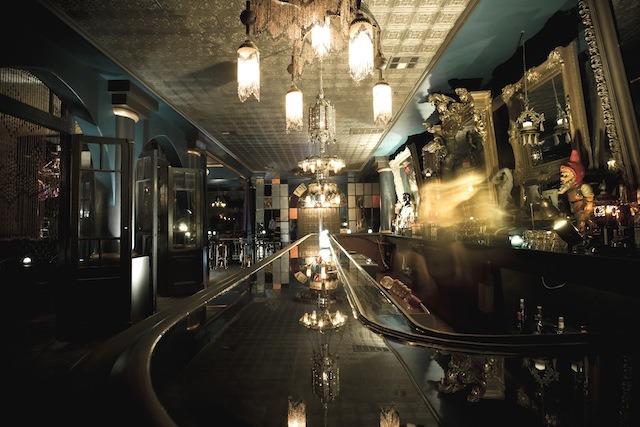 Located in desolate part of Downtown, which lends to its spooky speakeasy feel, this spot has been a brothel, a bootlegging operation and the site of numerous suspicious deaths, including one of a former madam, a waitress and several suicides. Needless to say, many, including the staff, believe this place is haunted. Employees claim that voices call out from empty rooms, and unseen hands will touch, push, and sometimes pinch (or “goose”) them in the wee hours of the night. Objects move, doors open and close, and lights and faucets turn on and off. Most of the activity seems to occur around the men’s restroom, but one well-witnessed event occurred at the bar when a crown that sits upon the head of a statue (high above anyone’s reach) flew across the room. Had I known this prior, this review may have never happened since I’m easily spookable and shy away from anything related to the occult. Innocently enough, I wanted to check out this bar because of one thing and one thing only: Skee-Ball. Yes, you heard that right. 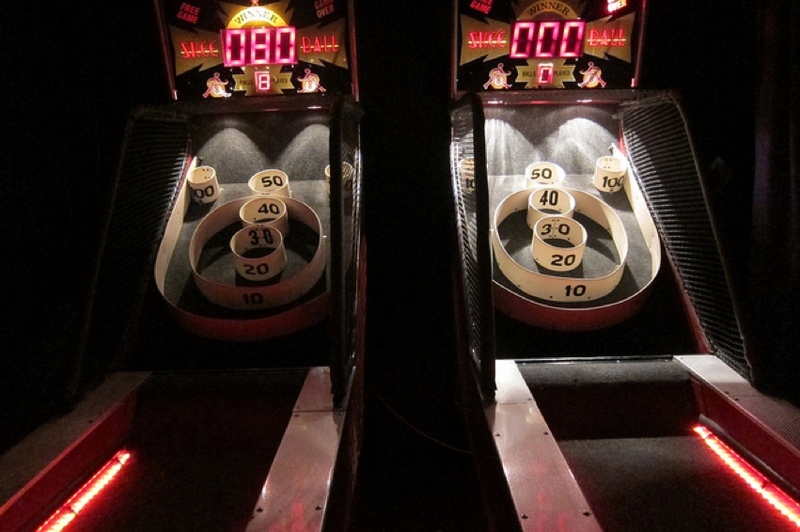 My eyes lit up like a Christmas tree when I heard they had Skee-Ball…for FREE! Since I’m too old to old for Chuck E. Cheese’s and won’t go to Arcadia (sorry Arcadia) for Dave & Busters, dealing with spirits (of the netherworld variety) who want to see me squirm may be something I’ll just have to deal with.